My daily diet has changed drastically since the new year, I'm eating a lot healthier and instead of piling my plate high with chips I am opting for chicken, turkey etc accompanied by lots of vegetables and salads. One of my favourite accompaniments was always coleslaw however upon looking at the ingredients and calorie content I discovered it wasn't so good for me, so I decided to have a go at making my own and I came up with Crunchy Kaleslaw. I haven't put amounts needed as really it depends on whether you want to make a small portion size or a whole batch to keep in the fridge for the week. * Have a container that seals ready if you are looking to store your kaleslaw after putting it together. 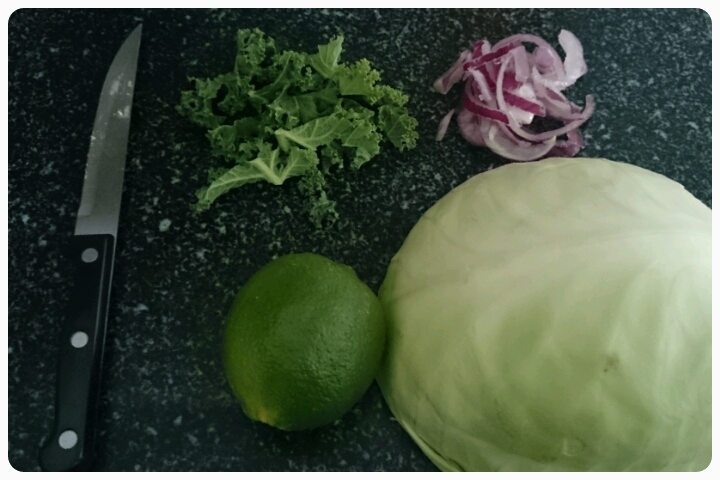 * Shred the cabbage and slice the red onion. 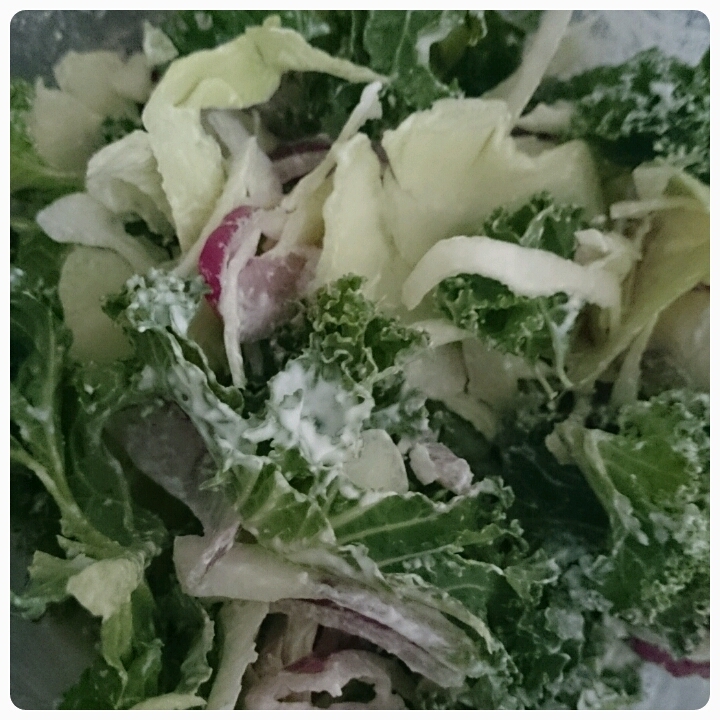 * In the container mix together your kale, cabbage and red onion. * At this point spoon in some greek yoghurt and squirt over the juice of the lime (do this a little at a time until it tastes right for you). * Stir together and it is ready to serve. I love this recipe as it is fairly low in calories and because of the lime it is both refreshing and tangy.